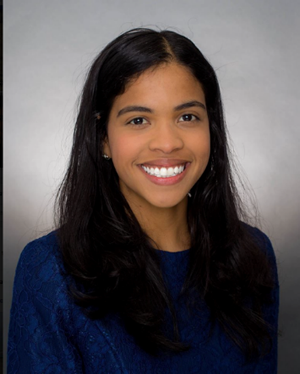 March 23, 2018 — Gloriana Gonzalez, 3L, will represent the University of Houston Law Center as a Young Scholar during the 2018 ABA Dispute Resolution Spring Conference April 4–7 in Washington, D.C.
Gonzalez will participate in a session and write a summary that will be posted on the app and website of the conference whose theme this year is "Dispute Resolution in Complex Times." "I am so excited to serve as a Young Scholar," Gonzalez said. "The opportunity to learn from individuals who are highly experienced in the field will allow me to continue to grow within this area of law. The use of alternative dispute resolution methods has become helpful not just in my legal career, but also in my everyday life." "Gloriana's session will take a deep look at brainstorming and other techniques used by mediators to find solutions," said Jim Lawrence, director of the Blakely Advocacy Center, which is sponsoring her trip. "Research shows that when people generate their own ideas for resolving conflict, they're more likely to reach lasting agreements. "The Law Center's Alternative Dispute Resolution program continues to grow stronger," Lawrence continued. "The selection of Gloriana as a Young Scholar is an honor for her and it demonstrates the quality of our students and program on the national landscape."